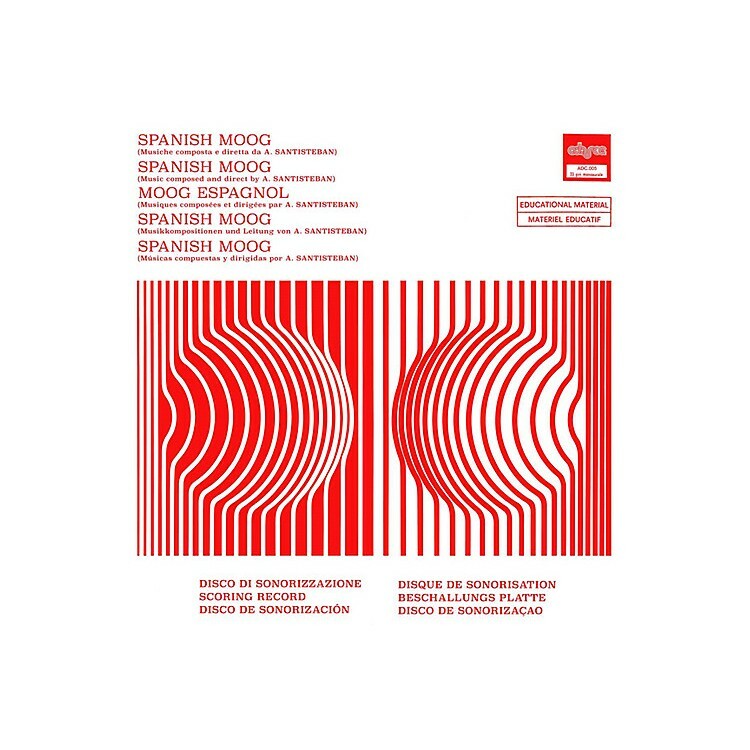 Release Date:03/09/2018;Notes:Adarce Records present a reissue of Alfonso Santisteban's Spanish Moog, originally released in 1975. Don Sicalíptico on the recording: "We can think of fewer things more Spanish than the works of Alfonso Carlos Santisteban. . . . A tireless Spanish music workaholic, he made no differences between copla, rumba, pop or soul and didn't mind if it was for Bambino, La Polaca, Mara Lasso, Calibre 38, Ellas or Mila. . . . Spanish Moog, an album Adarce Records has the pleasure to present, is one of those strange and almost invisible musical milestones that our man portrayed in Italy. Just as he wrote in his autobiography, in 1973 and thanks to the help of José Antonio de La Loma, he met two of the capos of the most important film music publishing empire in Italy, Giuseppe Campi and Giuseppe Giachi. They were about to open a C. A. M. (Creazione Artistiche Musicale) delegation in Madrid so they could start building their business in the most exciting times for Spanish film industry. The company started by signing two Spanish composers: our man, and Waldo de Los Ríos. . . . Apart from a large number of small (or more like embarrassing) film scores, Santisteban published five library albums up until 1975 for C. A. M. : Ambiente E Folklore (1974), Rinascimenti (1974), Night Club (1984), Situazione Per Orchestra (1975) and this one, Spanish Moog. Five of the songs included ('Jugando Al toro', 'Nuestro Ayer', 'Gitanos', 'Torremolinos Soul' and 'Todo Ha Sido Un Sueño') were originally recorded by Santisteban and Rafael Ferro for the album Flamenco Pop (1969), and three more ('Zorongo', 'Nuestro Ayer' and 'Tierra Mojada') were originally meant for Sabor A Fresa (1971) by La Nueva Banda de Santisteban. Beyond the supposed editorial filibusterism, what is left is a wonderful festival of grooves and beats an omnipresent Moog, wah-wah and 'cañi' soul blend in 'Torremolinos soul'. Dreamy melancholy, fuzz and southern touch in 'Tierra Mojada", impeccable arabesque beats in the steadfast 'Zorongo', funk and folklore sown tight in 'Noche en Marbella' and pure space Blaxploitation in 'Tute de Reyes"... Alfonso Carlos Santisteban would collide inevitably with a time already lost in the annals of history. We cannot think of a better way to resume his works and his person than the sentence he used to open his autobiography: '... I speak with the authority given to me by failure... '"